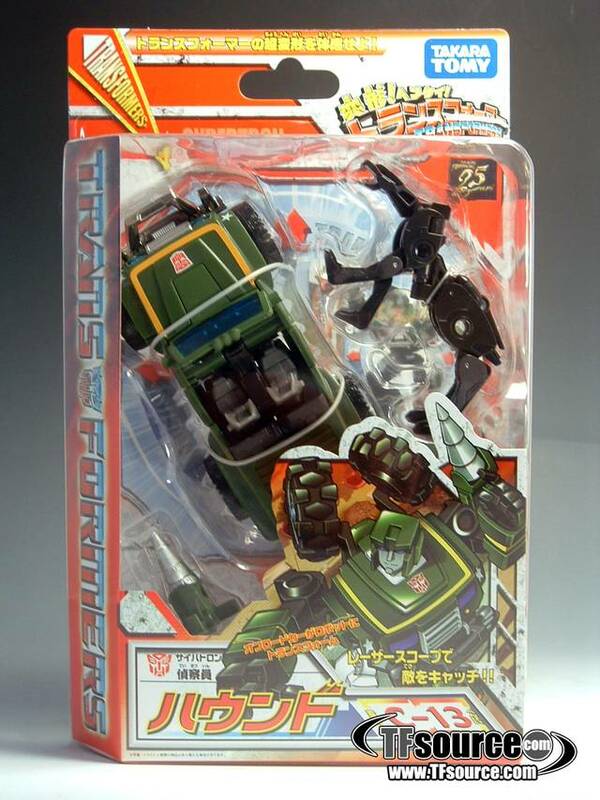 A Japanese exclusive recolor, Hounds is painted after the original G1 color scheme and has exclusive chromed parts only available in the Japanese market. 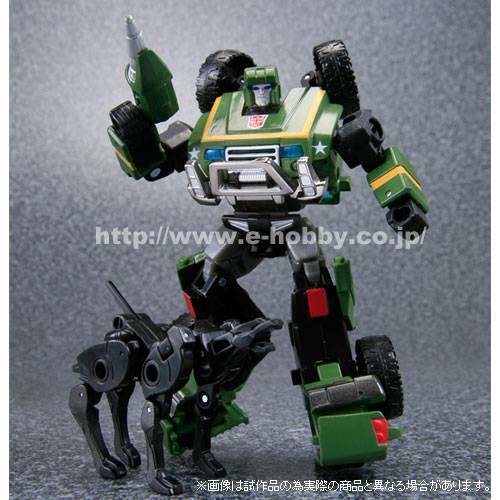 This is a reissue of the popular C-13 Hound and includes a miniature Ravage figure as shown! This release of the classic Hound Figure is in a word Amazing. 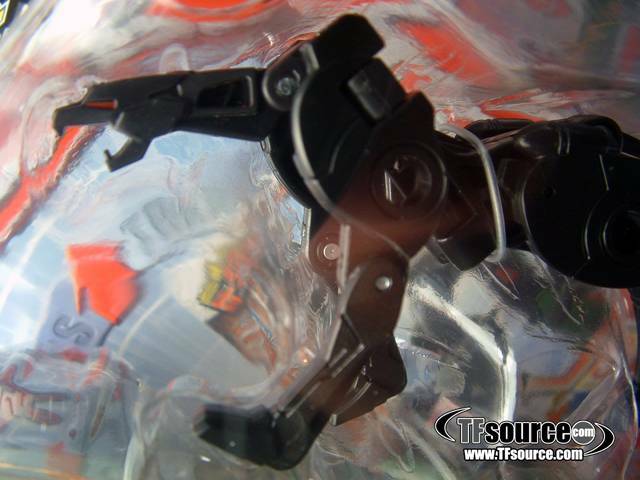 First off the figure is made of high quality plastic, sporting a chrome bumper and some very excellent small details. The color of the figure is a good match to the original G1 release but is not quite spot on. 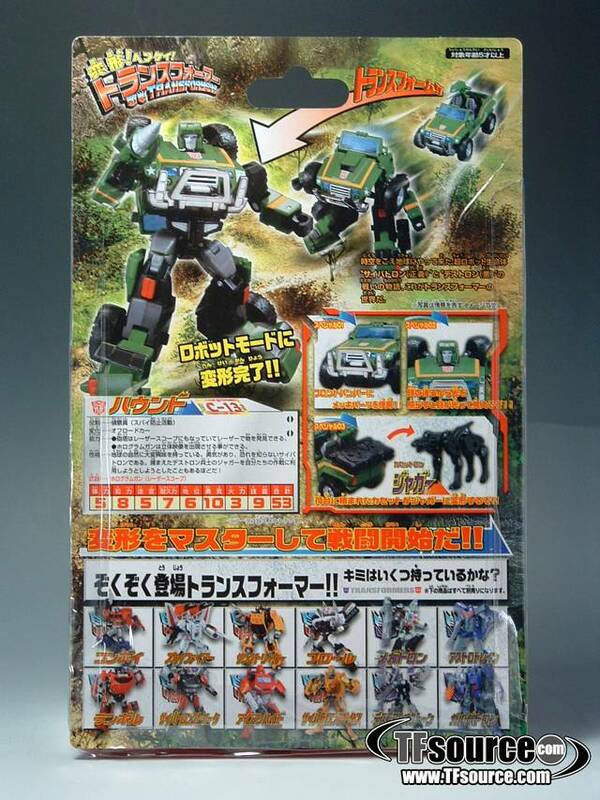 Transformation to Robot mode is quite simple, the overall design hides most of the parts and gives it a really "more then meets the eye" look in jeep mode. Id highly recommend picking this up while its on sale, though I wish I had waited a week as I got it for full price. overall the ravage that comes with it, as a bonus I suppose, isn't on the same level as Hound, the figure is very stiff and is quite low on the details side. the figure pulls off an ok cassette tape but lacks a lot of the details that made the original as impressive as it was. Its lucky that it came with hound because quite honestly I would not buy it separately.